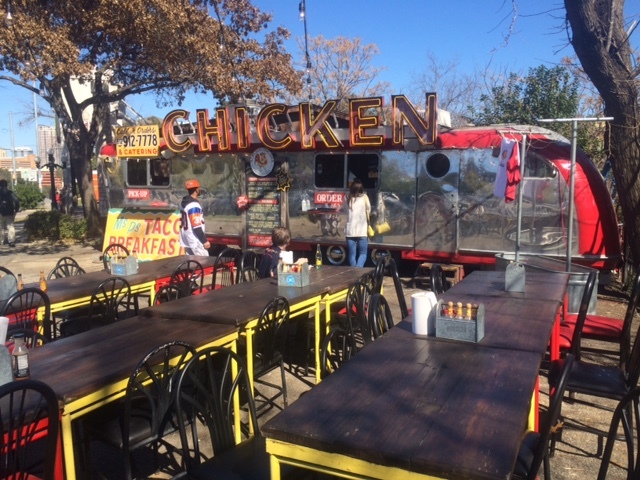 Trip Log – Day 224 – San Marcos, TX to Austin, TX | How Will We Live Tomorrow? LBJ Day! 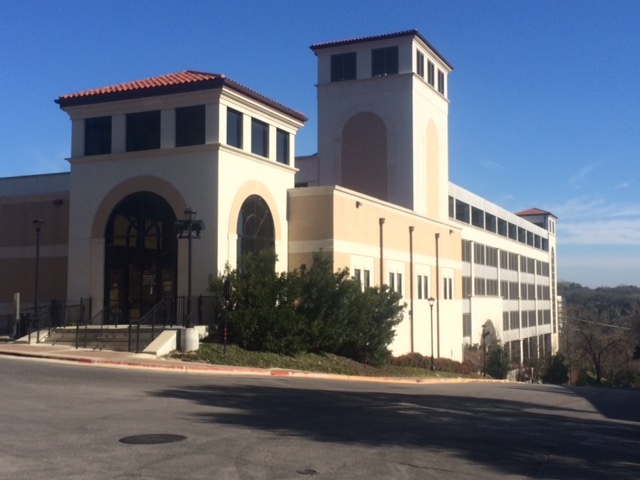 I started at the campus of Texas State University in San Marcos, which LBJ graduated from in 1930. 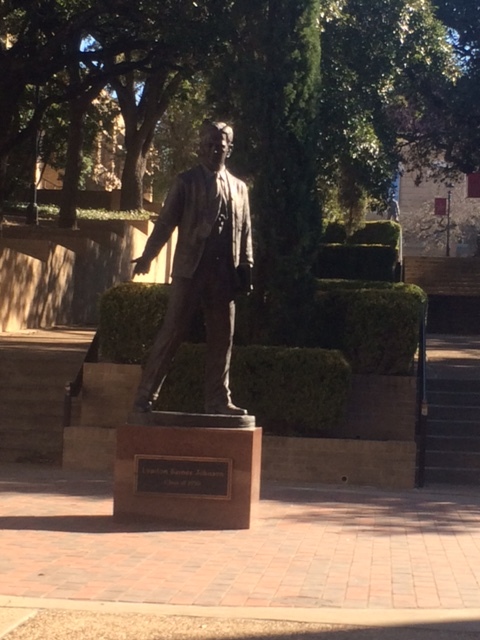 Although our 37th President has a commemorative statue on the quad, I imagine he would not recognize the place. I have never seen a college campus with so many parking garages; more places to park than to attend class. Every student must come with her own car. 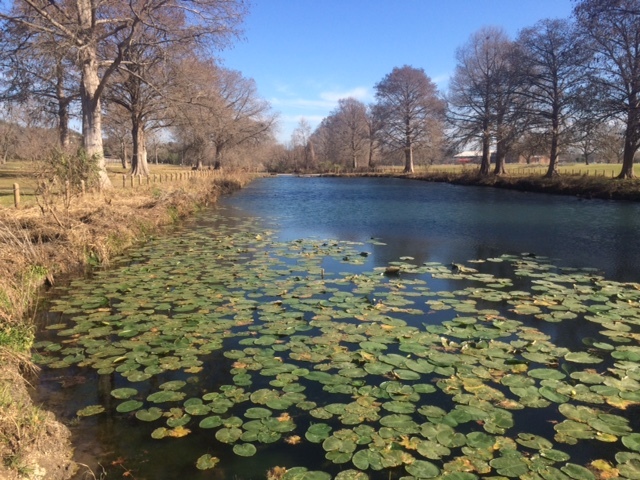 My ride was so pleasant; past the spring that creates the San Marcos River and along quiet Farm to Market Roads through Kyle and Buda. 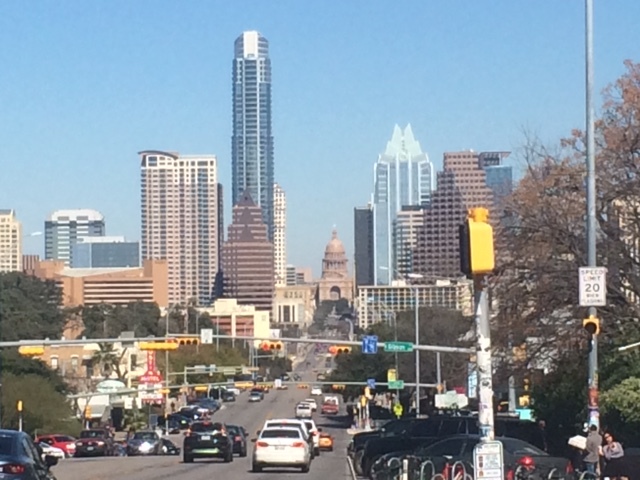 The closer I got to Austin on this placid Sunday morning the more packs of enthusiastic cyclists left me in the dust. Weekend warriors of the Hill Country are fierce indeed. 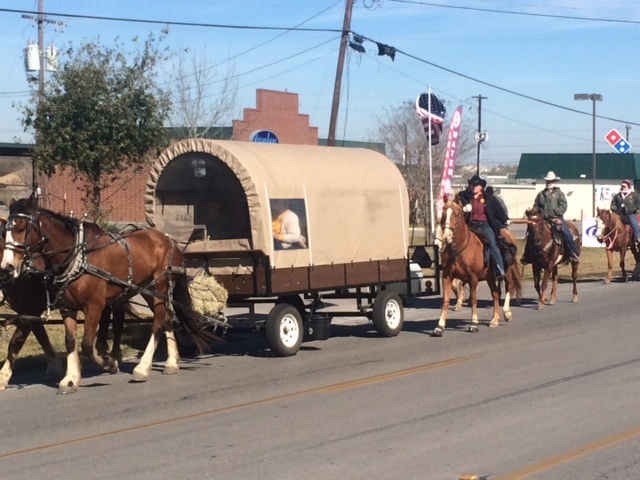 the parade of horseback riders with a Conestoga wagon were more my speed. 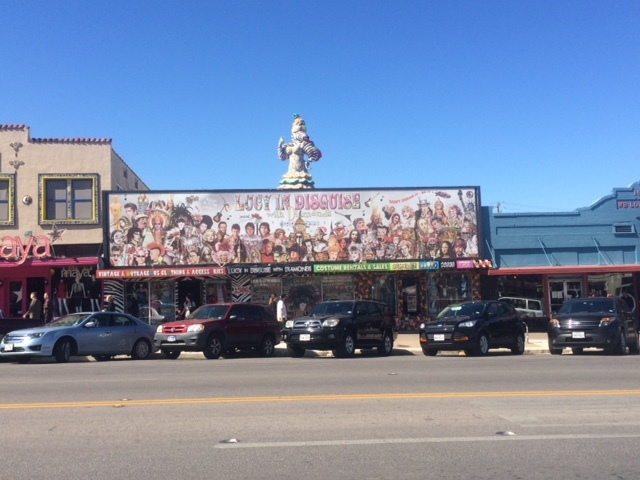 Entering Austin from the south, Congress Street evolved from an industrial area to a pawn strip to new angular apartment buildings to the funky Travis Hill neighborhood. 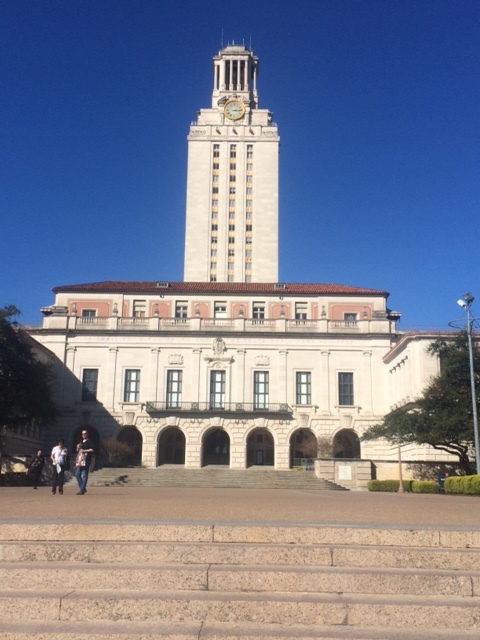 I stopped for lunch at a fried chicken food truck and pedaled over the Colorado River, through downtown’s office and residential towers, past the capital, Longhorn’s stadium, and UT’s tower, from which former marine Charles Whitman invented the modern phenomenon of random mass shootings in 1966. 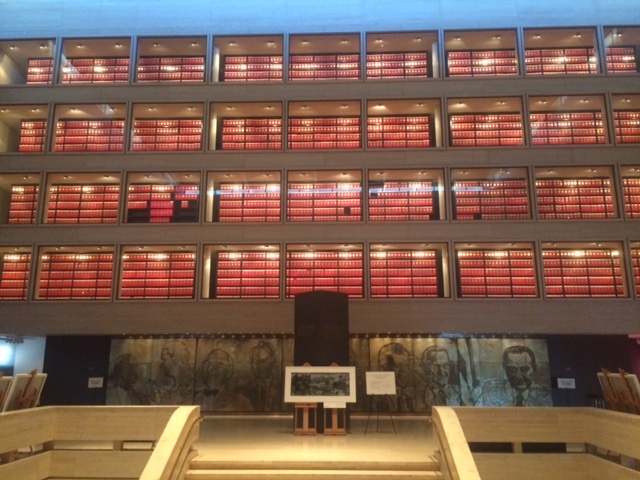 As part of my quest to visit Presidential libraries, I spent an informative afternoon at the LBJ Library and Museum. 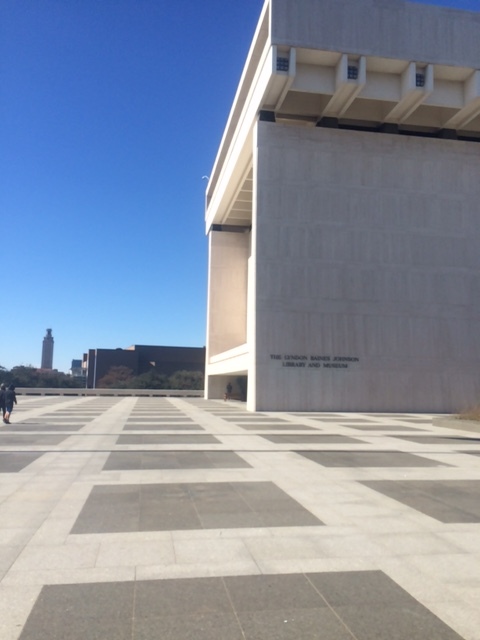 The museum does a great job balancing the dichotomy between LBJ’s domestic success and his Vietnam conundrum. I found the museum more interesting than either Reagan’s or Nixon’s. Perhaps that’s because LBJs Great Society resonates with me. 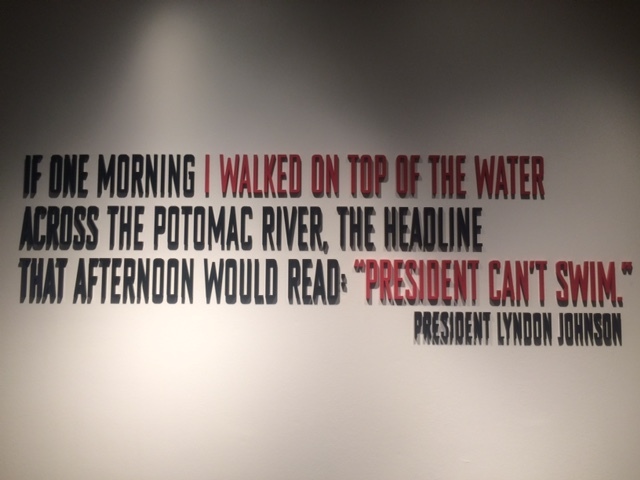 Perhaps it’s because the museum owned LBJ’s failings better than Reagans (which admitted to none) or Nixon’s (which is clouded by his). Or perhaps it’s because LBJ was president during my own coming of age. I was eight when he was sworn in; thirteen when he stepped down. So much of my worldview, both good and bad, was shaped by the LBJ years. He was a ruthless and manipulative man, demonized for Vietnam more readily than heralded for the domestic transformation he imprinted upon our country. This entry was posted in Bicycle Trip Log and tagged Autin TX, LBJ, LBJ Library, Lyndon Baines Johnson, San Marcos TX, Travis Hills, University of Texas, UT. Bookmark the permalink.